Phuket – 27 June, 2018: JW Marriott Phuket Resort & Spa will host a fun-filled gourmet experience at Cucina Italian Kitchen. Our upcoming guest chef is Pasqualino Barbasso, is a Pizzaiolo who cooks with passion and takes the art of pizza to the next level and in the most eccentric way. He held the World Championship for two consecutive years in 2001 and 2002 for Acrobatic Pizza. Chef Pasqualino’ signature pizza promotion will be available from Wednesday, 4 July to Friday, 6 July. Debuting in Sicily, this Italian chef is among the best acrobatic pizza makers alive, winning twice the World Championship of Acrobatic Pizza and making appearances in top-notch restaurants and hotels all around the globe. Chef Pasqualino has a mission to travel the world for his shows, impress the diners where ever he goes and leave all good memories in the hearts of others. Join the theatrical dinner with two-time Pizza Acrobatics World Champion Chef, Pasqualino Barbasso, at Cucina Italian Kitchen. Chef Pasqualino will not only make you the most authentic and delicious Italian pizzas, but also perform his incredible dough-tossing skills that are sure to leave you spellbound. July 3 – 5: A choice of A la carte Chef Pasqualino’ s signature pizzas or All-You-Can-Eat Pizza Promotion, created by two-time Pizza Acrobatics World Champion Chef, Pasqualino Barbasso. 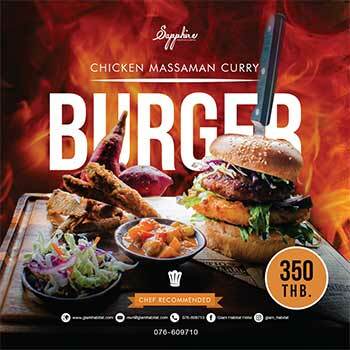 Price is THB 990++ per person, inclusive of free flow pizza or a’ la carte pizza THB 640++ per each menu. Chef will be showcasing how to twirls, spins, twists, juggles the dough in the air while diners enjoy sampling a selection of Chef Pasqualino’s pizza menu. Chef’s signature pizzas include Arrotolata – Artichokes cream, Mozzarella, Artichokes, Parma ham, rocket, shaved Parmiggiano Reggiano cheese; Bolero – Burrata, Bresaola, rocket, cherry tomatoes, balsamic reduction; Gran fume – Burrata, smoked salmon cherry tomatoes, vegetables salad; Sapori di bosco – pizza sauce, Mozzarella, Porcini mushrooms, sausage, Spianata Calabra; Al pistachio –Mozzarella, Guanciale, Pistachio Pesto, Pistachio shaved Parmiggiano Reggiano cheese; Mediterranea – Pizza sauce, Mozzarella, eggplants, sundried tomatoes, black olives, basil powder.